Cadet Direct has the UK’s best range of military hats, including a huge selection of tactical hats, caps and berets to suit every rank and regiment in the Cadet Forced and British Army. Everything you see here has been sourced from MoD-approved suppliers and official government surplus schemes, meaning you can count on getting an authentic military-grade item. When you’re out in public or taking part in a parade, it’s important to have an impeccable uniform that meets official regulations. In this collection, we have a range of military caps and peaks and Army berets, which will ensure that you look presentable at all times. We have military hats to suit members of the Armed Forces as well as cadets. Our thermal headwear range has been designed to help you keep warm in adverse conditions and includes benny hats, Army watch caps and balaclavas. All our thermal headwear is available in a range of camouflage or MTP and has been designed to help you conceal yourself effectively in the field. 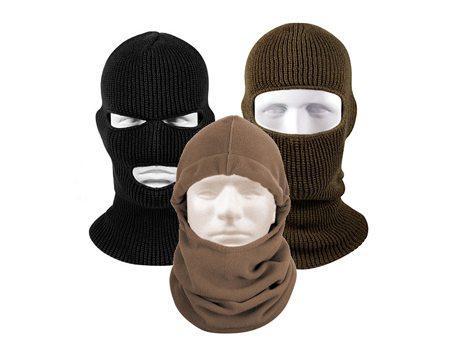 We also supply a good range of neckwear including shemaghs, scarves, neck warmers and headovers, all of which are essential on stealth outings and camping trips. If you’re currently preparing for deployment, you’ll want to shop our range of Army helmet accessories which includes MTP fabric tape, camo netting and head torches, so you can get your helmet completely prepped and ready for combat. We also stock boonie hats and tactical caps and bush hats, which are ideal for training exercises and stealth operations. At Cadet Direct, we pride ourselves on offering fast delivery with every order, including same-day dispatch. Buy a military hat from our extensive collection today.